Trooper Chad Wolf was killed when his police motorcycle was struck by a vehicle. Trooper Wolf was on motorcycle patrol and traveling northbound in the right lane of Dixie Highway, crossing over southbound I-75, when a vehicle towing an empty trailer traveling in the left lane quickly changed lanes in an attempt to access the I-75 entrance ramp. As the vehicle changed lanes, it struck Trooper Wolf's motorcycle. Trooper Wolf was dragged for four miles on I-75 before the driver pulled over at a rest area. The driver who struck Trooper Wolf cooperated with the investigation and was subsequently charged with reckless driving causing death and leaving the scene of an accident causing death. In May 31st, 2017, the driver was acquitted of all charges. 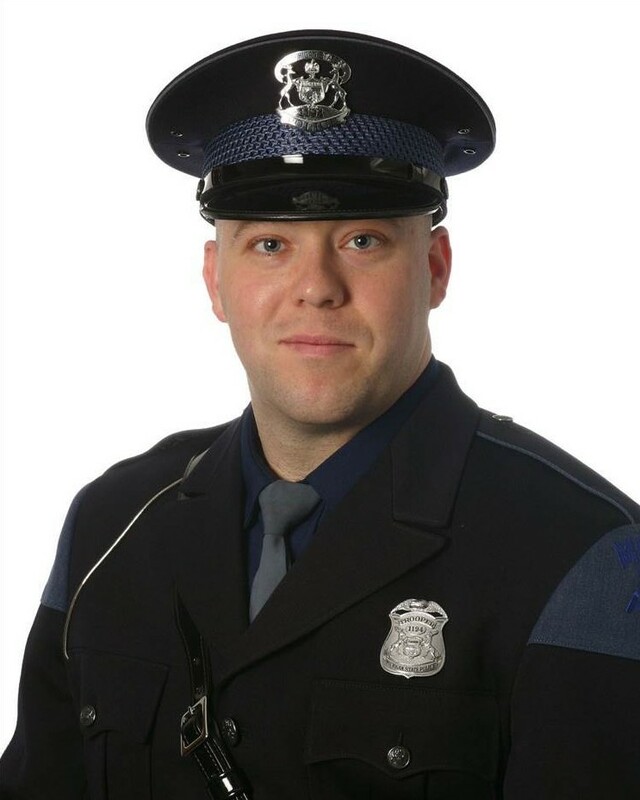 Trooper Wolf served with the Michigan State Police for seven years. He is survived by his wife, four children, parents, and three siblings.